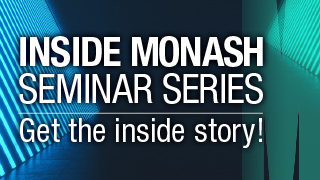 At Monash, we know that your ATAR might not accurately reflect your academic ability. Life can be a bumpy road, and there are all sorts of circumstances that can get in the way of your secondary education. By considering your circumstances as part of your application, we create a level playing field for everyone who aspires to start one of our exceptional courses. Every Monash course has a Monash Guarantee ATAR, which is lower than the expected selection rank for that course. 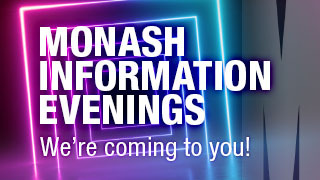 If you are eligible for the Monash Guarantee, achieve the Monash Guarantee ATAR for your chosen course, and meet the non-ATAR course entry requirements, you are guaranteed an offer in the course. attend a Monash list under-represented school. SEAS adjusts your selection rank by considering circumstances that may have affected your secondary education. This gives you a better chance of getting an offer for the course you want. Your selection rank starts with your ATAR and adjusts this number up depending on the severity of your circumstances. Monash uses your selection rank (adjusted ATAR) when making offers for course entry. 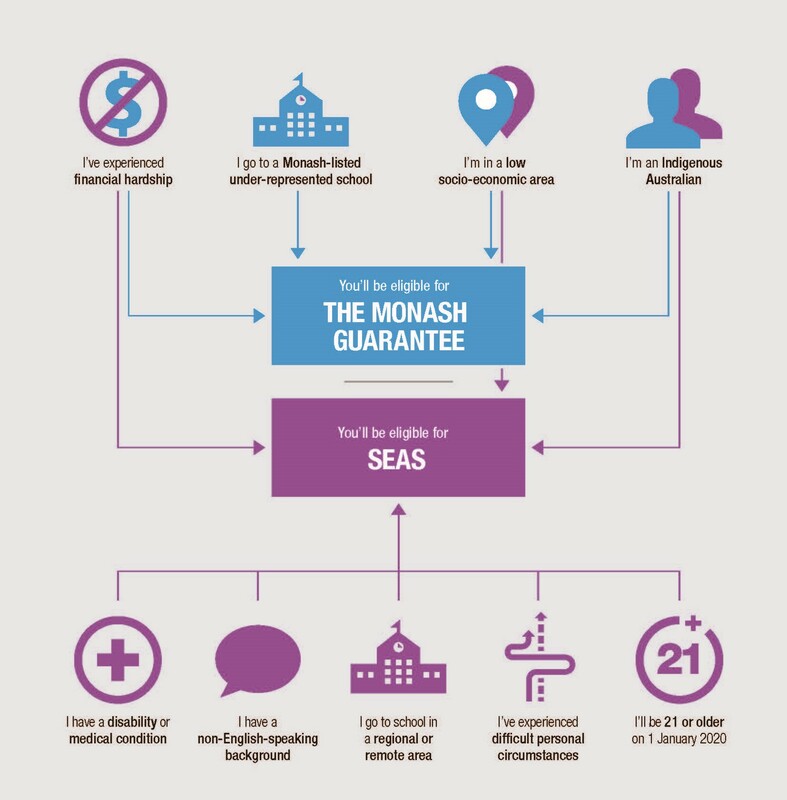 Special Entry Access Scheme (SEAS). Students applying to the Bachelor of Medical Science and Doctor of Medicine (MD) course may apply to be considered for a place in the course via the Dean's Rural List. Students applying to the Bachelor of Medical Science and Doctor of Medicine, Bachelor of Physiotherapy (Honours) and Bachelor of Radiography and Medical Imaging (Honours) courses may apply to be considered for a place in the course via the Dean's Indigenous List. Could you be eligible for a scholarship? $1500 guaranteed for all students experiencing financial disadvantage.